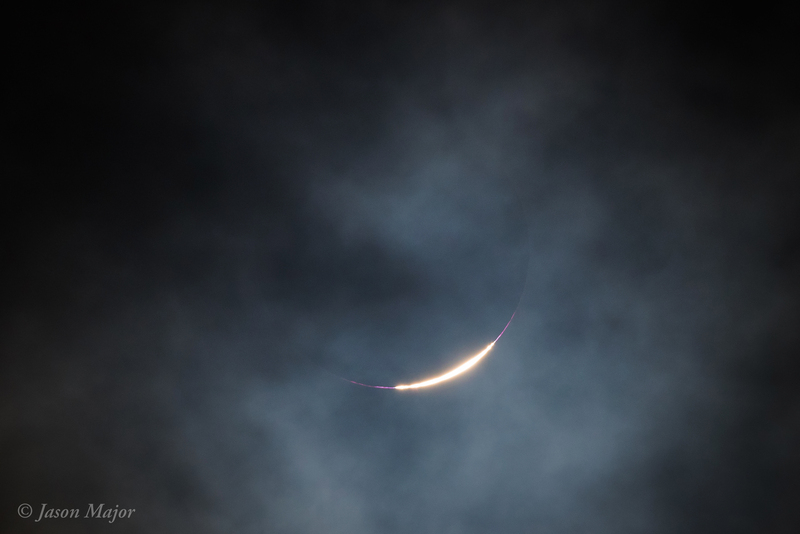 Below are some of my photos from the event. 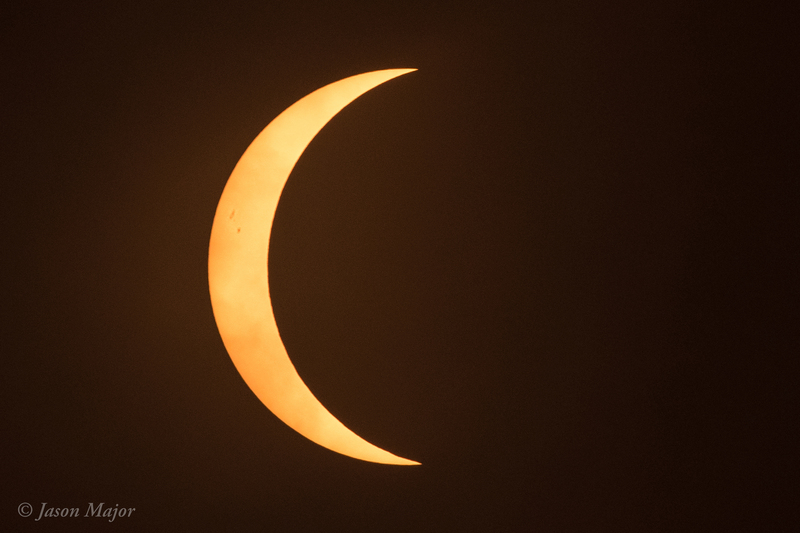 I captured photos with a Nikon D810 and Sigma 150-600 lens affixed to a tripod. 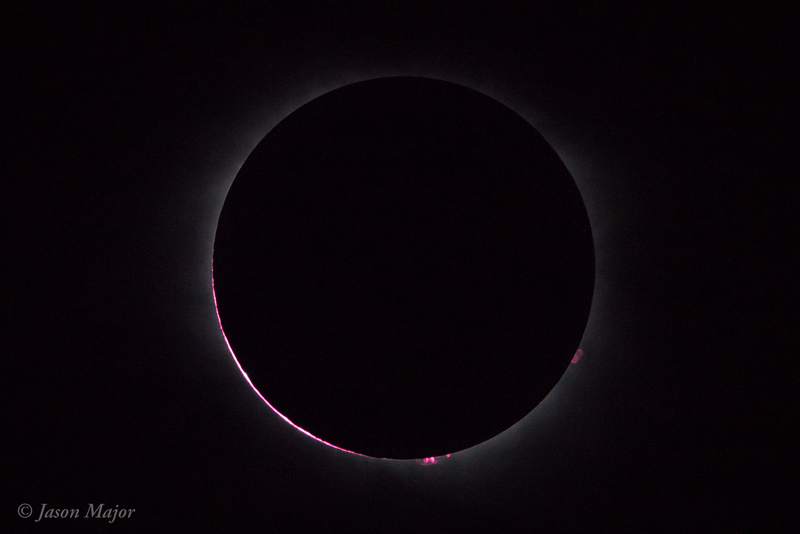 I used a Daystar white light filter for the partial phase, but removed it as totality approached and shot to try to capture solar prominences and the effect known as “Baily’s Beads”, which are the last bits of sunlight shining through low valleys between mountains along the limb of the Moon. 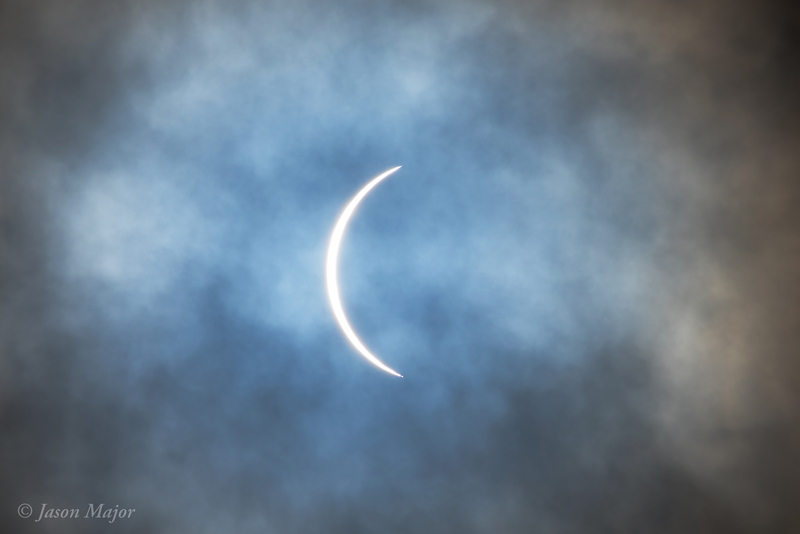 Thankfully I managed to capture both! 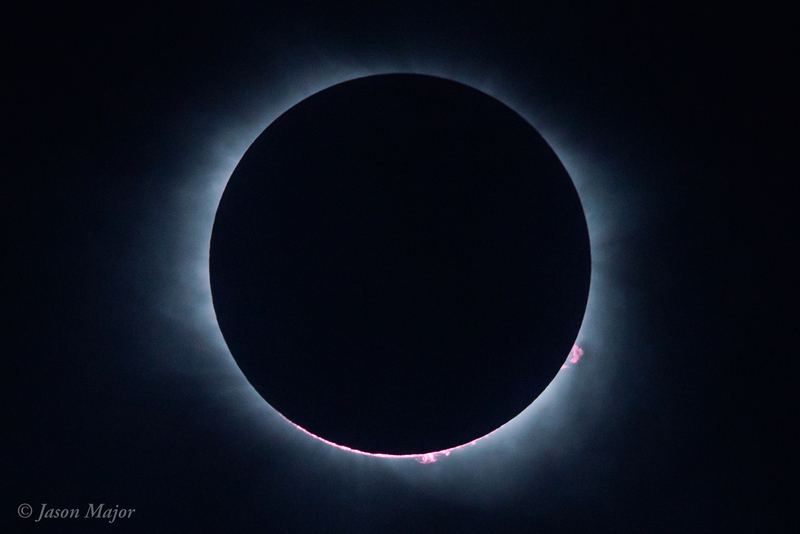 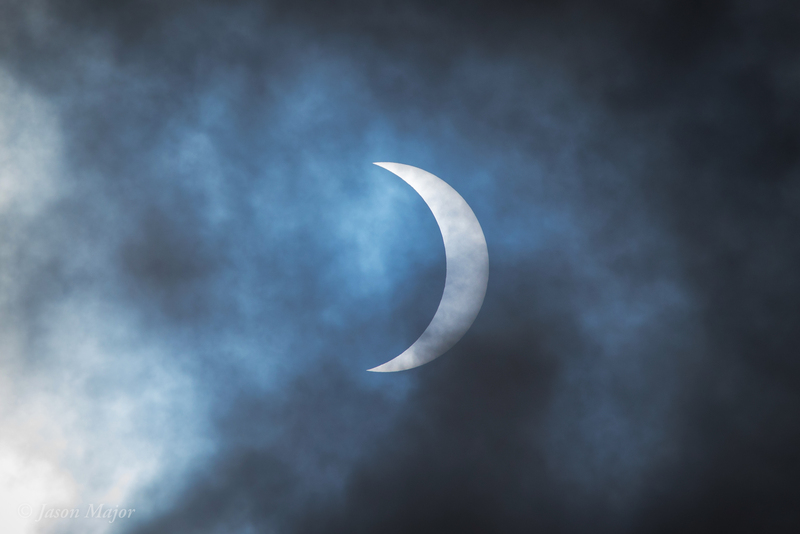 The entire series was really quite lucky, as cloud cover was heavy in the Charleston area today and the start of the eclipse was hidden…I was suspecting that totality would certainly not be something I would experience visually. 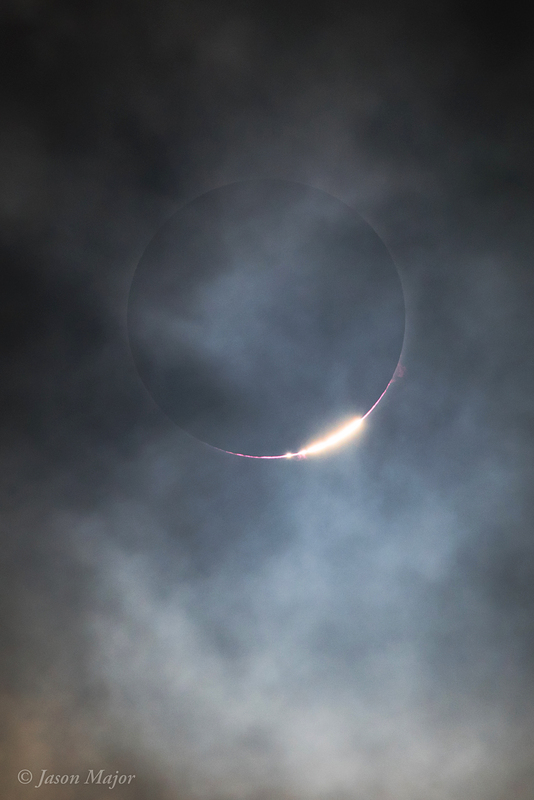 I’m glad I was wrong—as the time approached the clouds thinned and the eclipsing Sun was visible, both enough to see with safety glasses and photograph. 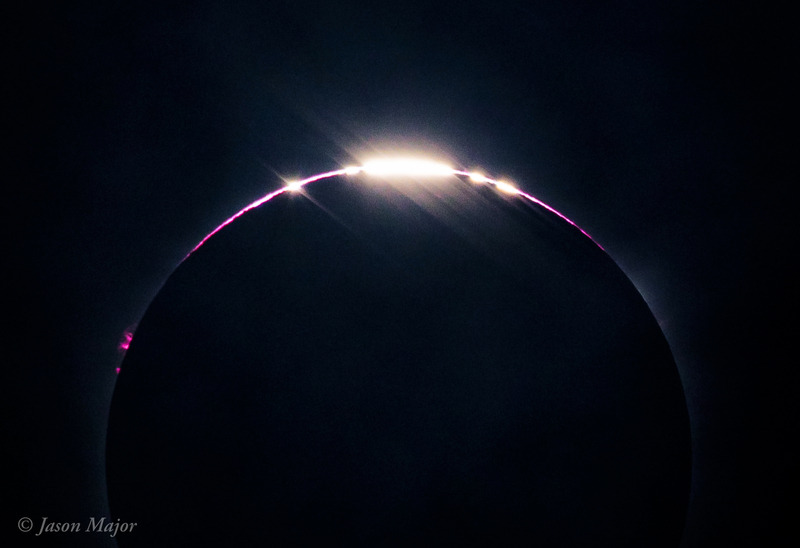 Baily’s Beads captured during the August 2017 total solar eclipse. 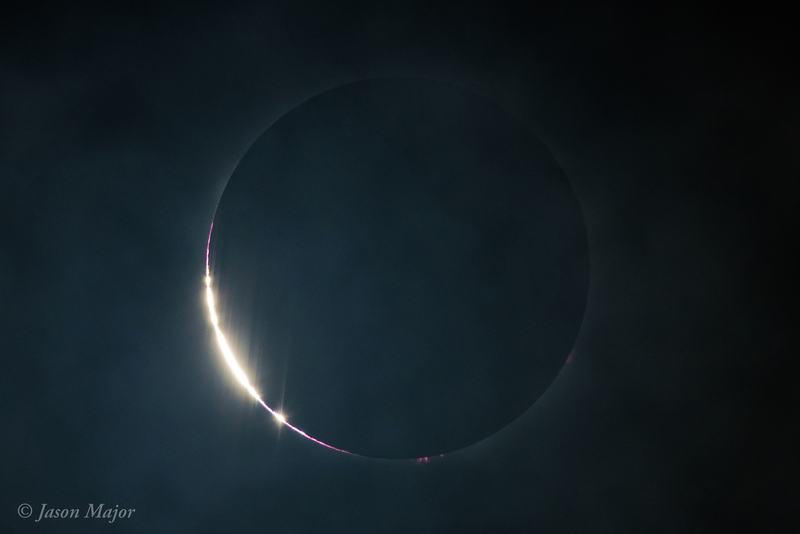 Previous Post It’s Cassini’s Final Month.